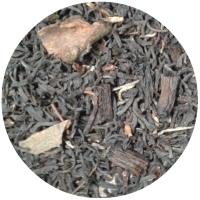 Content: 100% Natural Black Bourbon Vanilla Beans (length:13 cm). About 500 beans are in 1 kg. Packing - 1 bean in 20 cm glass tube with plastic cap. 10 beans (10 glass tubes) - USD 33.30 (USD 3.30/bean). To buy from 5 beans in bulk (in 1L PET bottle) for USD 2.93-3.04 per bean please go here. Dla zamowienia od 5 lasek luzem (w 1L PET butelce) przejdź tutaj.